Home Lifestyles Do you hope to sell your present RV in 2019? 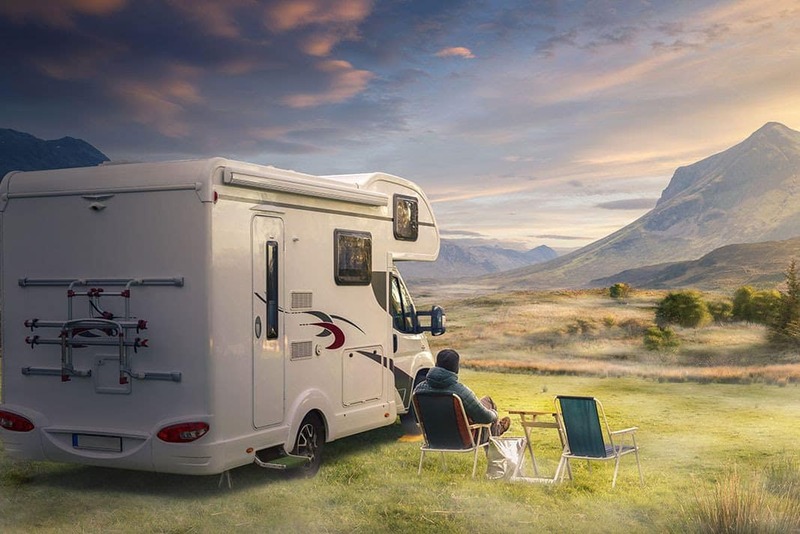 Curious minds want to know: do you hope to sell your RV in 2019? Maybe you want a bigger one, or a smaller one, or maybe you don’t want another RV at all. Or maybe you’re tired of your motorhome and want a fifth wheel, or the other way around. So what about it? Planning to sell or not sell? Using Microsoft Edge on a Samsung Galaxy Tab s3 and had to reload to get the pole. We want to upgrade our 19 year old MH but financial it won’t be this year. We are trying to sell our Holiday Rambler 2007 Neptune XL. Don’t travel near often enough anymore. It is an excellent coach ! We kept our first trailer for 16 years. Our current 2012 is headed for AT LEAST 16 years. So no, we’re not selling in 2019. We sold our 2010 Carriage Cameo 5th-wheel ourselves for a good price last month and have no plans to purchase another RV for a while, if ever. We did so much extended and full-time RVing for 15 years after retiring that we just burned out — not much trouble with the rig, but difficult to make reservations where we wanted them, RV parks/campgrounds too crowded, too many traffic hassles in transit from one place to another. We may buy another smaller RV in the future but for now we’re happy getting more settled into our new community. Yes, I want to upgrade the 04 Southwind to a newer 12-18 Southwind. I have had my 1998 Country Coach Prevost since 2003. It is a wonderful coach but it is about time for something smaller as we are not traveling as much, I think it will go on sale this summer. All ready sold ours, we were having a lot of issues with our National Motorhome, fridge quit working, had to put in new air conditioner , furnace needed work. Plus we are getting to the age where we cannot do the upkeep ourselves anymore (my husband is a VERY handy man and could fix almost anything). So it was getting to the point we had to start paying to have someone fix things that went wrong. Thinking about just getting a small camper as we really miss camping. This week and last week it wouldn’t load for me unless I refresh the page. Firefox in private mode. No we don’t. We bought our 04 Newmar Mountain Aire in 2017. We’re going to keep it forever, we’re fulltime. We will be Selling the 2011 class C Jayco Greyhawk this Summer; or trying to. Ours is currently on the market. My 1997 Hitchhicker is kinda like my bride of 57 years. Most of the kinks have been worked out so I think I’ll hang on to both. As the saying goes “if it ain’t broke don’t fix it” or something like that. And management agrees. I have a Landmark Augusta, 2010, that we have full timed in for 9 years. We now have a home in the Northeast, so considering down sizing from the current 39ft. to a 30ft. 5er. thinking about traveling to Florida in September to trade. Any thoughts? Put it on RV Trader. I have used them a few times and have had great luck. Just posted an ad for two weeks and got a buyer from that short a time. Last one I got the one year ad that cost around $150 or so. Yes I am considering it. I am not sure if I will replace with a 5th wheel and become a true snowbird, or take a year off and travel Space A while I am still able to physically roll with it. I have maintained my coach replacing and repairing as needed. I just replaced the awning material last week with an OEM awning and what a difference (no sag or fading).